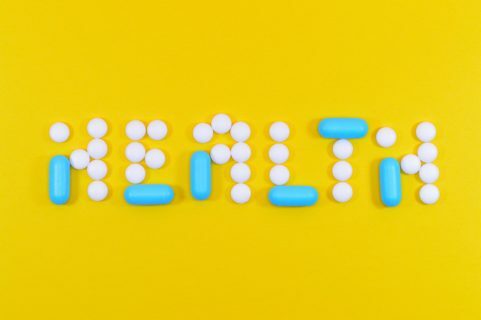 People living with chronic illness and medication also manage their health in experimental and often quite ordinary ways. Blood tests, echocardiograms, waist measurements, and body weigh-ins comprise a cyclic apparatus of health checks at clozapine clinics. Most patients have a diagnosis of “treatment-resistant schizophrenia,” but their clinical records are mostly filled with cardio-metabolic concerns. Having a “clozapine belly”—as one patient described their weight gain to me—becomes normalized in the clinic waiting room. 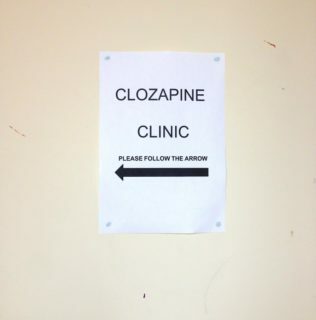 My fieldwork at two clozapine clinics in Australia and the United Kingdom explored the lived experiences of patients who appear from the outside to be extremely limited in the control they have over their lives and their “health.” What I observed was that living with chronic mental and physical illness and being heavily medicated does not preclude people from having agency over their health—and that this health agency need not be specific to these circumstances. Enduring schizophrenia and clozapine was, in Janis Jenkins’s terms, about navigating “extraordinary conditions” but also doing so in quite ordinary ways. In Western culture, there is a high moral value attached to self-sufficiency and maximizing one’s health. The first clinical observations of what is currently called schizophrenia, posited that patients experienced “a disease process that isolates and opposes them to Western selfhood,” including “the labour of self-improvement” (Woods 2011, 42). For all that biomedical treatments can offer people with schizophrenia, patients face a reduced life expectancy of up to 32 years. Antipsychotic drugs can significantly damage cardiovascular and “physical” health in the process of alleviating acute psychotic symptoms. The labor of self-improvement in regard to health thus becomes more complicated. In Australia and the UK, clozapine is the “gold standard” antipsychotic treatment for chronic schizophrenia. The medication is thought to regulate dopamine rather than directly blocking dopamine (reward) receptors, which play an ambiguous role in schizophrenia. Clozapine can generate a profusion of side effects, requiring at least monthly blood tests and checkups at outpatient clozapine clinics. Life-threatening conditions induced by clozapine range from agranulocytosis (disruptions to the bone marrow production of white blood cells), myocarditis (inflammation of the heart muscle), and pulmonary embolism (a blood clot moving to the lung) to metabolic syndromes, insulin resistance (and type 2 diabetes), seizures, excessive salivation, chronic sedation, and constipation. Clozapine treatment is, however, about preserving life in the most immediate sense. In the United States, for example, suicide is attempted by up to 50 percent of people with schizophrenia, and clozapine is the only Food and Drug Administration-approved antipsychotic to remedy suicidal ideation. But how much control over life and death do clozapine-treated schizophrenia patients feel they have? Because most clozapine patients have attempted suicide prior to taking the drug, they have a particular appreciation for being alive. Joanne, aged 43, was one of many patients whose fear of the past sat closely alongside gratitude for the present and hope for the future. One day she described a recent dream to me: “It ended by me thinking the only thing I can do is kill myself—I’ve got to… no-no-no, I don’t want to!” Joanne mimicked herself panicking, palms to her face. “I woke up, and it was like, yeah, I didn’t, and I survived and I’m here, I’m here.” Joanne often spoke to me about how she worked to accept her past as part of who she was now. In her work with Canadian Inuit who dream of loved ones lost through suicide, Lisa Stevenson (2014, 172) suggests that “images (reckoned as visual, sonic, or linguistic) are what keeps us alive.” For clozapine patients, images of their own potential death—in the form of dreams, imaginaries, or residual psychotic symptoms—could also substantiate a will to live beyond fears of death. Patients’ lived experiences of well-being while taking treatment for schizophrenia did not amount to defeat, passivity, or lack of engagement in the clozapine regimen. Joanne found ways to minimize the physical side effects of clozapine. At first she tried to manage her weight by eating mainly bread and butter instead of sugary biscuits to satiate cravings, but she soon found herself 20 kilograms heavier. After a few years of discontent with her larger frame, Joanne went to a local Weight Watchers support group. There, she explained, “people have kind of challenged me a bit, and I’ve sort of decided to run with it.” Her diagnosis was not a factor at this support group. By the time I met her, Joanne had shed the 20 kilograms through stringent food substitutions and regular swims. Incidentally, she found that swimming right before blood tests kept her white blood cell count within a safe range, allowing her to keep taking clozapine. Patients’ lived experiences of well-being while taking treatment for schizophrenia did not amount to defeat, passivity, or lack of engagement in the clozapine regimen. Attending the clozapine clinic became a safe, mundane, but predictable social structure and interaction. Between visits, patients worked to sustain health strategies and pursue personal projects (if not returning to work). They were always quick to point out what they were doing to look after themselves and that these efforts were an ongoing, open-ended enterprise. Angus was currently managing constipation issues. This had become particularly painful because his bowel pressed against the metal plates in his pelvis (put in place following one of several pre-clozapine suicide attempts). Having previously relied on cannabis to help with digestion, he had recently started to take a probiotic drink because he felt the cannabis compromised his “mental” health too much. Angus took daily walks, lifted weights, and did sit-ups, because “I don’t wanna’ keep getting bigger and bigger, and I’ve seen people on this medication die from it … sometimes I feel this dropping feeling is like a stroke.” Despite not feeling in peak condition, Angus proudly conceded that his daily exercise had thus far resulted in his blood pressure dropping “back to normal,” so much so that he no longer required the medication he had taken for it in previous years. After being hospitalized for a partially collapsed lung, Angus had also quit smoking. He had contemplated starting up again to lose weight, but then decided this would not work unless he spent all his money on cigarettes instead of groceries. Having also had a previous issue with alcohol, he now diluted alcohol with a mixer. Most recently, he had been mixing vodka with mineral water and cranberry juice, which, he explained, “helps” him because of the Vitamin C.
Clozapine patients in my study combined experiential and clinical knowledge to claim ownership of their health regimen. They kept their methods and approaches to health open to experimentation. As such, their imaginaries of health were continually negotiated depending on current needs rather than a continuous logic. Simone Dennis (2016) suggests that when it comes to understanding why people continue to smoke cigarettes in spite of knowing the harms, anthropologists and public health researchers need to be careful not to rationalize what appears to be irrational behavior. Instead, it is important to appreciate an incomplete knowledge-in-progress. Indeed, a number of clozapine patients with type 2 diabetes who felt conflicted when they ate sugar or smoked cigarettes would nonetheless consume sugar or smoke without hesitation when they took their dose of clozapine. This combination balanced out the fatigue induced by the drug and renewed their sense of focus and well-being. Above all, their health behaviors were thoughtful and innovative, tailored to their particular circumstances. Health agency is intrinsically tied to a sense of having the control and personal power to carry oneself forward in one’s social environment and to define health on one’s own terms. As Nigel Rapport argues in his alternative anthropology of power (2003), even the most powerful of social structures can conceal everyday forms of human agency. Thus, although the legacy of early clinical characterizations of schizophrenia may keep producing “a deeply biological vision of the subject” who experiences “disorders of the will” (Biehl, Good, and Kleinman 2007, 238), this does not align with the health agency that my interlocutors with clozapine-treated schizophrenia displayed and talked about. It was perhaps the reduced clinical attention on schizophrenia in the clozapine clinic that made it easier for patients to assert their health agency. Preparing for blood tests and being asked about the checklist of clozapine-related concerns meant that projects of health were ready for the making and monitoring. It is important to note, though, that when patients received higher expectations for their competency in looking after themselves, they took it upon themselves to overcome challenges. When clozapine patients were presented with new options for making their health, they engaged in these options more readily than onlookers might assume. For instance, advice in the UK clozapine clinic to try vaping electronic cigarettes instead of smoking tobacco was taken up favorably. And, just like Joanne, who had sought out ways to manage her own weight-loss efforts, other patients turned to martial arts and mindfulness practices to manage psychological difficulties in the same ways people without chronic schizophrenia might seek to manage their health or “self-improve” (see also Brown and Dennis 2017). People with schizophrenia care about their health in ways that point to normalcy rather than exception, and this needs to be better acknowledged. Recognizing the more subtle, everyday ways in which people with schizophrenia do engage with their health is critical because it means appreciating patients’ self-efficacy and potential for improved health outcomes. In the clozapine clinic waiting room, patients are not merely sitting around with “clozapine bellies;” they are navigating ways to take charge of their health and feel better. Julia Brown is a PhD candidate at the Australian National University. Her recently submitted dissertation is titled “Making Health Agency: Clozapine, Schizophrenia, and Personal Power.” She is a co-founder of the blog and podcast The Familiar Strange.